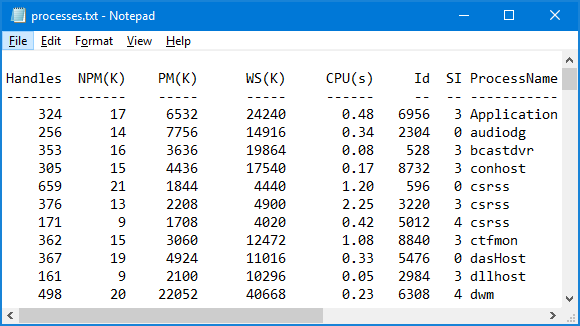 How can I list out all the running processes on a Windows machine? 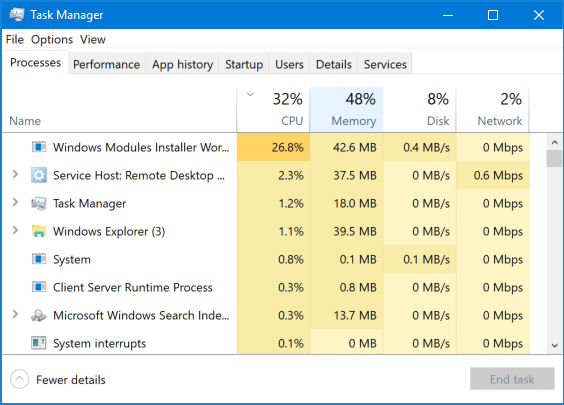 You can use Task Manager to view a list of processes running on your computer, but it doesn’t provide you an option to print or save the processes list. 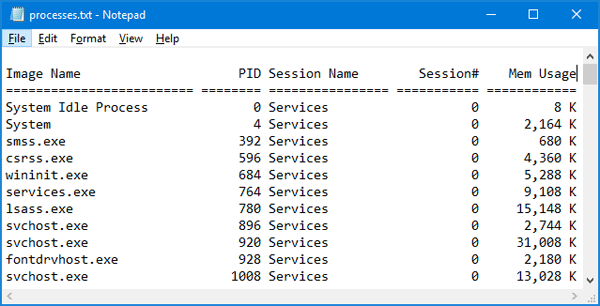 In this tutorial we’ll show you 2 simple ways to print a list of currently running processes in Windows 10 / 8 / 7. Run the following command and it will save the list of running processes in a file named processes.txt. Open the output text file in NotePad which allows you to print the processes list. In order to save the list of running processes in a file named processes.txt, on your C:\ drive, type the following command and press Enter. The output text file is formatted as shown below. Or use the third-party freeware PsList that is developed by Sysinternals.